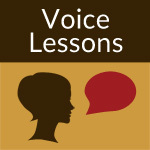 This is the official archive of my Voice Lessons Newsletter. All newsletters posted later than this are now in my blog. You can see them by clicking here or going to my publications page and clicking on the Voice Lessons category.